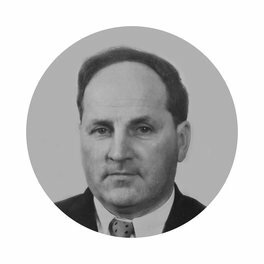 Anatoly Ivoilov began working at Project Development Institute No. 1 in 1947. He started holding management positions in 1951, climbing the career ladder from department head to chief engineer. On 18 April 1958, he was appointed Director of Project Development Institute No. 1 per the recommendation of General Project at the Ministry of Construction of the RSFSR. He was a member of the Scientific Board at the Construction and Architectural Academy. Under the direction of A.A. Ivoilov, the Institute gained a special drawing office in 1958, and a special architectural and construction department for designing spatial structures in 1961; skill advancement study groups were arranged as well. In 1963, during principal rearrangement of the design department using Project Development Institute No. 1 as a base, Soyuzmachstroyproject All-Union Association with 5,770 persons was created and the Institute became its lead.